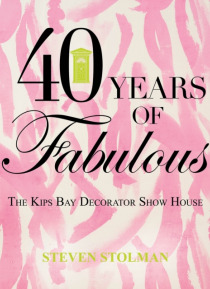 For more than four decades, the Kips Bay Decorator Show House has presented the creations of a stellar roster of interior designers in what is regarded as one of the finest decorator show houses in the world. A fixture on the New York City scene, this glittering expression of high design continues to set the standard for the world of decor. Forty Years of Fabulous provides an insider's look at the… history of this much-loved convention of society while revisiting the spectacular rooms by star decorators past and presentrooms that truly defined interior design while setting trends still evident in today's homes.Steven Stolman is the author of Scalamandre: Haute Decor. He divides his time among homes in Palm Beach, New York and Milwaukee.